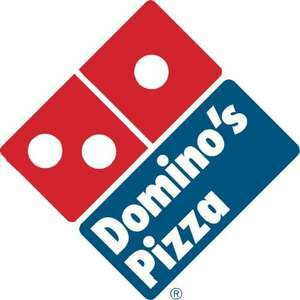 4.2% cashback for new dominos customer and 2.1% cashback for existing dominos customer. good deal but I still prefer to get a large and one topping for £5.99 Lunch times and collection only! where does it take off 50% ? Edit: just seen that it is 4pm - 6pm. Is this on tomorrow also ? Oh no! Not more temptation!!! good deal but I still prefer to get a large and one topping for £5.99 … good deal but I still prefer to get a large and one topping for £5.99 Lunch times and collection only! £4.99 at mine for this The deal is every day until 4pm, and order two and they'll deliver. What's it for you? where does it take off 50% ?Edit: just seen that it is 4pm - 6pm.Is this … where does it take off 50% ?Edit: just seen that it is 4pm - 6pm.Is this on tomorrow also ? Log on to their website and then click on DEALS tab. The option you want to select is "Midweek rescue service 50% off"
Not showing up, guess it's store specific. yeah finished at my store! I just ordered one large pizza, from Maida Vale W9, and the FEEDME50 code worked with 50% off.